Pamper yourself and your loved ones with a Hotel and Resort Card eGift Card featuring Hilton Hotels Worldwide with this offer from Specials by Restaurant.com! 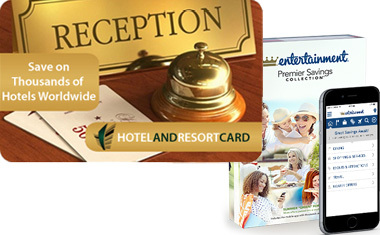 Get a $100 Hotel and Resort Card + $50 Restaurant.com eGift Card for only $20, a huge savings off the face value! Everyone wants to be treated like royalty, but usually we prefer this without the price tag. 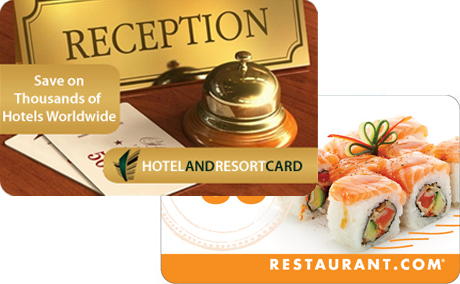 Treat yourself to a royal, relaxing and rejuvenating vacation while grabbing some great discounts on your hotel stay with up to $100 to redeem at HotelandResortcard.com.